Technology group Wärtsilä’s hybrid power module, Wärtsilä HY, has been granted Approval in Principle (AIP) by ABS, a global provider of classification and technical advisory services to the marine and offshore industries. 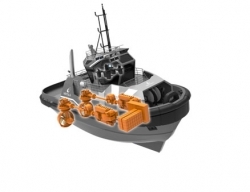 This AIP follows another issued by ABS in 2017 for Wärtsilä’s hybrid propulsion tug designs. The Wärtsilä HY hybrid power module combines engines, an energy storage system and power electronics optimized to work together through a newly developed energy management system. 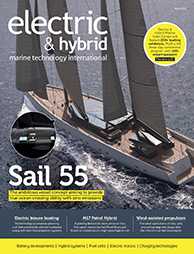 According to Wärtsilä, it is the marine sector’s first hybrid power module of this type ever produced.